After Messiah treading the winepress at the Battle of Armageddon, as examined in the previous Revelation article, the secular and religious world will be stunned. The Great King will be revealed in victorious glory, and those who did so much evil, who seduced the world for Satan, will be brought to justice, much as many Nazis were when the time came for the light of truth to reveal their evils before the world. In this article, we continue with the imprisonment of Satan and the False Prophet, where they will be prevented from deceiving humanity for one thousand years during the Great Sabbath millennium of Messiah. 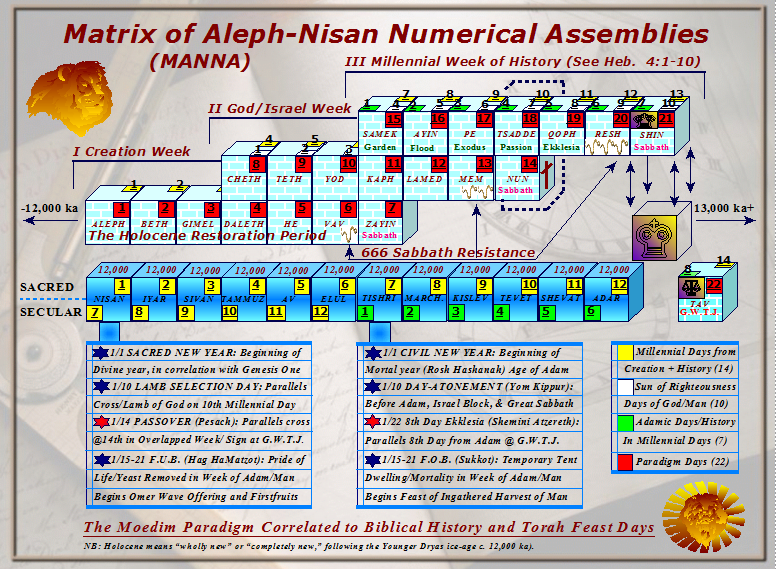 Other than a few passages that allude to the peace and justice to come, Scriptures are largely silent on the Sabbath millennium, and in the Book of Revelation this age is skipped over until Satan is released to once again gather the nations to war with Israel and deceive on the eighth millennial day from Adam (Shemini Atzereth), which is during the time of the Great White Throne Judgment. Thus, this article is largely about the Head of the Body of Believers (Messiah) fulfilling the Genesis prophecy and crushing the serpent’s head. Along with the defeat of the Antichrist (i.e., the manifestation of Satan, a.k.a. Son of Perdition) and False Prophet, the spider web of global financial corruption, injustice via manipulation of the nations, with propaganda that does so much to empower the messengers of Satan, will be burned-up with nothing left. For millennia the spirit of Satan has gone to and from the earth, tempting, leading national powers, and accusing the people of the Lord before God’s throne, even since ancient empires that ruled over the Hebrews. Halfway into the Apocalypse, c. 2026 A.D., a decisive war will break-out in the spiritual realm over the Law of God and the fate of Israel. When the spirit of Satan and his forces lose, and Michael casts him out to be confined to the earthly realm, he and his messengers will bring hell on Earth in rage of being spiritually rejected- because of his hatred for the nation of Israel and those who spread the prophetic Gospel of Jesus Christ: the awaited Messiah as King of Jerusalem. Clues are given of when Satan will be cast out: (1) He will learn that his time is short, and (2) he will be enraged by Zion and those who have the Testimony of Yeshua and the commandments of God. Why? He is enraged at seeing the truth prevail on Earth, and even great angels desire to look into some things in which God declares to His elect in this world. The “Testimony of Jesus,” again, is the “spirit of prophecy,” and by the Spirit we learn of a mystery on Earth that settles the appointed times and mysteries of God and Scriptures. Satan will seek to change the Divine times and prevent prophecies’ fulfillment, but he will fail. We bind these things together in truth on Earth, and they are bound in truth in Heaven, bringing victory for the Word of God- the mystery in which He has sewn in Heaven and Earth. The Lord’s truths will be manifest for the living, and all deception will be cleared away for justice. This revealed truth will enrage Satan and his followers, yet their appointed time is determined and cannot be stalled nor stopped. Consider the battle in heaven to be a bit like a wager or a bet. Consider it a riddle. Consider the prophecies and the signs of the Bible as a chessboard for the immortals, and God, having the Law, is the righteous Judge. Some people are not graceful losers, and in anger they act out their rage. When Satan battled Eve, he deceived her over the Word of God with corrupted/twisted knowledge. When Satan subtly battled God over the character of Job, he challenged the righteous judgments of God. When Satan stood to oppose the high priest Joshua (Yoshua), he resisted the proper interpretation of the works of God for Israel’s restoration. When Satan battled the Messiah, he used the Word of God, seeking to fulfill it on his own terms. Satan is called the “Author of Confusion” because he twists the Word of God to sew his confusion and deception in the world and among the elect. Victory in the spiritual realm means that the messengers of God’s Truth will prevail with clarity, and this will enrage the Author of Confusion. When the waters of the Word are made crystal-clear, Satan loses his power, first in Heaven then on Earth. The angels have desired a closer look and better understanding of the works done in Messiah and to know the prophetic times thereof; when His times are manifest in clarity, unifying the elect in the authority of the Kingdom, Satan will know that he has finally lost, and he will seek to destroy the holders of these truths by force. As for us, force does not bring about the finally victory, but mortal victory follows victory of Divine Truth. When the glory of the truth of the Word begins to mount, the angels of adversity will begin to act out their fear of damnation, in rage as religious lies everywhere come crashing down (all the hiding places of demons), for there is great power in the union and completion of the Body of Christ under the everlasting truths of the Law of God. When the Hebrew roots of the Word are reunited with the branches of the faithful in Messiah, new fruits of healing will blossom for the healing of the world. Corruption will fade as when the springtime sun and soft rains wrestle to take back the earth from the dead things that decay in the power of the winter season. Notice that this millennium has not yet come, as if the nations, at any point in history until now, have ever been free from satanic corruption. Catholic A-millennialism and Post-millennialism are false doctrines that claim we are already living in the messianic millennium under the rule of their popes (Roman bishops in Christ’s stead), but clearly Satan has not yet been bound in Hell. Righteous judgment has yet to reign in our world for any substantial period of time, not from their papas and not from national leaders, but the world has always suffered corruption and corrupt judgments. The Mark of the Beast has not come, nor has there been a resurrection of the faithful martyrs. Why has the Roman Catholic Church and so many Protestant denominations confused something so simple? They hate Israel and do not believe the prophecies about Christ returning to reign on the Throne of David from Jerusalem. They spiritualize away all the prophecies that they loathe, and they have forgotten the Key of Knowledge and coming Great Sabbath, which the lesser Sabbaths serve as foreshadowing signs. 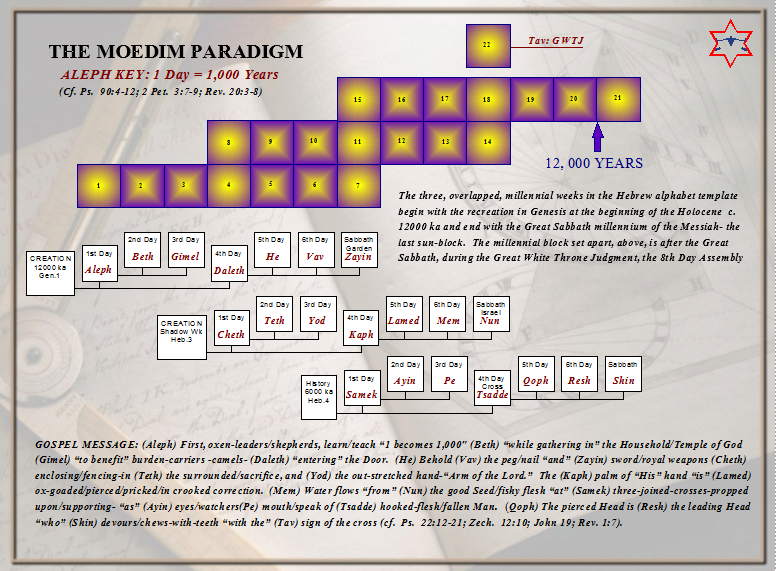 The Book of Hebrews makes it quite clear that we await a seventh day of restored paradise, and the Moedim Paradigm illustrates what Paul was explaining. Yet for many people (both the learned and ignoramuses), their religion trumps plain biblical teachings (see Heb. 3; 4). Moreover, Satan has not yet been bound; nations are still being deceived in a web of lies; those beheaded by the False Prophet Mohammad and his children have not be resurrected; and the Romans bishop heads of Catholicism do not (and will not) reign in the messianic millennium in place of Christ. We await fulfillment of the millennial Sabbath, after the revelation of Christ during the Battle of Armageddon in northern Israel. The serpent can twist God’s Word all he wants, but the time is still appointed for his imprisonment and that of his messengers (see Matt. 8:29). Who are Satan’s messengers? Those who twist God’s Word, distort news and truths, and practice their false religions or atheism for their own glory- many doing so for their churches, personal power, self-glorification, and wealth in this present evil world. Who else are his messengers? Politicians and judges who practice injustices and deception among the nations, resisting God’s will for the world. Their time is ending, and it comes very soon. All the deceptive messengers of Satan, from secular Hollywood producers/actors to religious institutions filled with those who love lies, will be cast down rather than transcend the will and glory of our Elohim YHVH. The above passage explains that this will be the first resurrection of the martyred flesh. There is but one earthly resurrection of the dead in Revelation, which is before the last resurrection at the Great White Throne Judgment- after the millennium of the Great King (although his dominion is an everlasting dominion). Teachers who have installed two, three, or four miraculous resurrections into their interpretations, making their false doctrines of the Apocalypse fit their rapture beliefs, are thoroughly deceived. This they do because they have not discerned or accepted that others are born again for the coming Kingdom through the matrix of womanhood (cf. John 21:22; 1 Thess. 4:17). Hence, they must distort Scriptures to make them fit their eschatology. Mohammad is the evil father of this practice for all Muslims, having first beheaded 600-900 Jews in the Massacre of Banu Qurayza (Medina, Saudi Arabia c. 627 A.D.), simply because they did not profess him a prophet and traded with his enemies in Mecca. After the Jewish fortress surrendered to the false prophet Mohammad and his murderous band of thieves and assassins (about 3,000 footmen and 30 horsemen), all males from the age of puberty, and one faithful woman, were lined-up in the marketplace and beheaded before the other women and children; the remaining Jews became slaves and were divided as loot for his followers to do with as they pleased, some of whom were later traded for more weapons and horses. The great False Prophet claimed that this beheading of Jews was commanded by Gabriel; thus, beheading has long been an intrinsic weapon of their religious fervor to this very day. For those who have not read previous MOTS articles, the Bible clearly reveals who the religious-appearing ram with “two horns” of power is, which is also called the “False Prophet.” Islam vents death as the Dragon does, and his two horns of power are Sunni and Shia. These are the most honored ones, who let not even Death prevent them from preaching the Gospel of the Kingdom of Heaven; they take Messiah and the Word everywhere, unashamed and unperturbed by the forces of the damned. Some are Arabs walking in the Light in the den of Satan, risking their lives to teach the Gospel and love of Christ in Lebanon and other nations of the False Prophet. Indeed, all of the Lord’s elect are glorified at His coming, but I am convinced that a special glory awaits those true martyrs who give there all against the powers of Satan. True martyrs are those who offer-up their lives for preaching the truth, not as the demons of Islam and their father Satan who murder unsuspecting innocents and call the deaths of their own bodies, in the process, “martyrdom.” Their lies and injustices will not stand another generation, and glory will be given back to the saints of the Most High. As for Islam, their forces are rising in our day against the nations. Surely they know in their spirits, and have felt and heard, what is about to be birthed, and their hatred boils over in preparation for the final war. This evil spirit of the False Prophet Mohammad will not die down, but it will continue to flex its muscles to bring terror into the hearts of those whom the Lord is raising-up to stand with Zion. They know in their spirits what is about to come forward, and their time comes to an end; yet they are too blinded by their religious pride and hatred of Christians and Jews to let the biblical truths come to the forefront of their minds. Arabian people, whom God is calling out of their death cult, are quickly killed by Muslims for daring to question the worldwide lie, but Messiah comes to put an end to this. They cannot stop it nor His coming judgment, not with beheadings, not with rage, not by might, not by terroristic attacks in marketplaces, not by homicide bombers, not by self-victimization, not by deception and propaganda, and indeed by no means; their spirits are becoming manifest as the hatred of the Dragon, of Satan, but they simply cannot hinder the Lord YHVH’s victory for Truth. Despite all their schemes and rage, the religion of the False Prophet will be destroyed in everlasting shame at the coming of the true Messiah. Then, in that day, the remaining Arabian people will be free, raised in righteousness, and no longer walk in fear. Peace, biblical truths, and justice will come to the entire world, liberated from evil, for all who remain or are raised by the Lord in the world. Some readers of Revelation may wonder why Satan will be released after the Great Sabbath millennium. Again, for new readers, there was a boundary of time set on sinful man from the beginning: 1,000 years of life (see article on Adam and Eve), even until all sin is destroyed. Also, there is an 8th day judgment that must come after the Sabbath to put an end to death and spirits still in rebellion against the atonement offered in the sacrifice of the Lamb of God. Time ultimately brings about new generations that will rebel and deny things that happened long before them. The Great Sabbath is a refinement process for the world, which is why the Great King is foreseen ruling and guiding the nations with a rod or iron, and the curse of no rain comes upon the rebellious national heads who will not keep the international Feast of Tabernacles. Times are forgotten and words are counted as myth. These articles I am writing, even if every detail was proven true, will mean very little to many people living one thousand years from now. No one during the immediate centuries following Christ was so foolish as to claim that He never lived, but now how many people count all the books, letters, and even the life of Christ to be myths? As long as new generations are born into the world and nations healed, there is nothing true that some will not seek to discredit, even with the Great King walking among us- especially if one nation is favored above all others and provokes their jealousy. This does not mean that Russia and eastern nations will not play their parts in the Battle of Armageddon, but before the eighth day they are not the biblical Gog and Magog. Ezekiel wrote of Gog and Magog coming against unwalled cities in the Kingdom of Israel, when they are living in quietness and peace, which should make it clear to everyone that this will occur after the Great Sabbath, since Israel today is not at peace, and the nation had to build a great wall because of the terrorism of Palestinian Muslims. In the Book of Ezekiel, God describes the messianic Kingdom before the war with Gog and Magog, and it parallels the Book of Revelation. First, God makes two sticks into one; He joins the Jewish stick of Judah with the Ephraim stick- the latter as another tribal name for the ten northern tribes of Israel. He forms one gathered nation (see Ezek. 37:11-21). Second, God has one Great King, likened to David, reign over His nation, and they will live there forever and multiply (see Ezek. 37:22-25). Finally, in the passage God declares that they will have the everlasting covenant of peace, with God’s tabernacle among them, which means the remaining Jews will believe the Gospel. All these things are yet to come. They have yet to manifest, and this is crucial to discern concerning Gog and Magog. When the Lord had the prophet prophesy against Gog and Magog, with the nations gathered with them against Israel, He first made it clear that it is after many years (the Sabbath millennium), when Israel is sitting peaceful and righteous (see Ezek. 38:8). The nations interrupt Israel’s rest after the Great Sabbath, covering the land of Israel (see Ezek. 38:9-12), seeking to plunder the great wealth of the Kingdom. This is when God’s wrath and jealously will be stirred once more (see Ezek. 38:18-19). 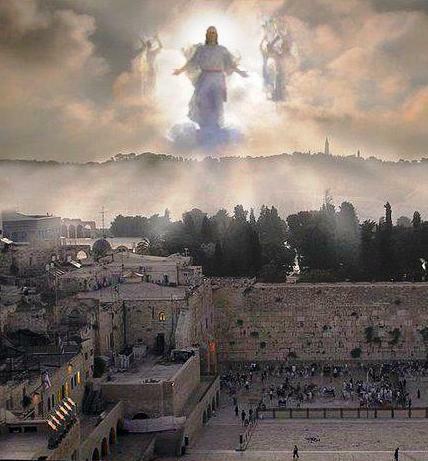 An earthquake will again shake the earth, and the multitude of nations gathered against the righteous nations will fall slain on the mountains of Israel for the last time recorded in Scripture. Why will people not know that YHVH is God? Because Satan will be loosed after the millennium to begin deceiving nations once again. Once again there will be the slain to feed the birds. Again enemies will be given to the fire. Yet from this point on, nobody will be allowed to profane the name of the Lord YHVH, for all will know and accept that He is the Holy One of Israel, dwelling in their midst (see Ezek. 39:7). For seven years the elect and saved will burn their weapons of war, and for seven months they will gather and bury the people from the nations who will again be deceived by Satan after his release (see Ezek. 39:9-16). Why do so many Christian theologians confuse this rebellion of Satan that will come after the millennium, I do not know. It is very plainly written in Revelation, and the sequence of events is plain in the Book of Ezekiel. The Lord does not specify, at least from my reading, when Satan will bring these nations from the four corners of the world against Israel, only that it is after the Great Sabbath millennium, perhaps even right away. Yet we do know that Satan is loosed after the millennium, on the 8th great day, to start deceiving again for the final battle. Many things are left for another age, for the works of God carry on through history. The mystery in which we have been given to prepare for the Apocalypse seems to be too much already for too many readers to comprehend. As for regular MOTS readers, please pardon my scornful tone on this, yet realize that people have distorted these truths and how much division and false doctrines their distortions have caused. If the Bible says that the War of Gog and Magog is after the millennium, let it be settled rather than twisted. For the coming Eight Day Assembly (the Shemini Atzereth fulfillment), there is a corporeal judgment on the world at the final battle of Gog and Magog, but the spiritual counterpart is set before the very Throne of God, which is not of this world. It is not for me, the scribe, to better explain this, and much of it remains a mystery. The 8th day is a very mysterious day, which seems to leave those who search the mysteries guessing. In this way, we are like the prophets of old, seeking to comprehend the infinite mysteries of God. Somewhere out there, in another world and perhaps for another time, more is known of the moedim mystery of God and His infinite works. From all the Divine mysteries given unto us- those in which I have revealed with His correlating framework of time- I am reminded that time itself is merely a concept revealed from the infinite mind of God. Many mysteries and glorious works will await the ages far beyond our current ability to prophetically view; to us there is given the sign of the Great Sabbath, along with the soon arrival of the everlasting dominion of the Great King. What does seem very clear is that the Great Mystery of God will be known, with all of His signs of the times, and death will- from the time of the GWTJ- become a thing of the past for those inheriting eternal life. The last enemy will be cast away and destroyed.